Crown Candy is a 1900s era courtyard community of authentic loft homes with brick walls, exposed duct work, an interior courtyard, and a rooftop deck. Love your home location in Historic Grant Park near Historic Oakland, the Historic Old Fourth Ward 04W, Cabbagetown, and Downtown Atlanta. Walk to the Beltline. 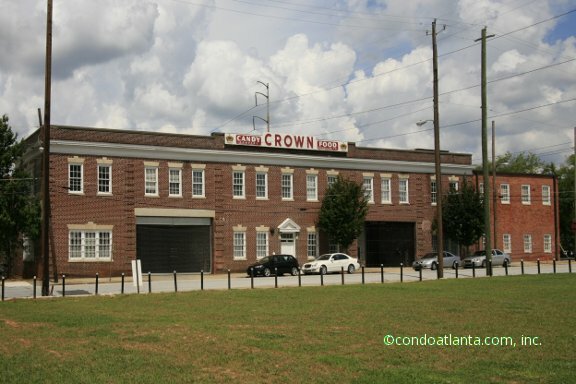 The Crown Candy Corporation, which still exists today and is located in Macon, cooked delicious fudge and peanut bars until 1971 at what is now the loft community which was residentially redeveloped and remastered in 1999. Community amenities for Crown Candy loft homeowners includes gated access to parking for added privacy and homeowner security.